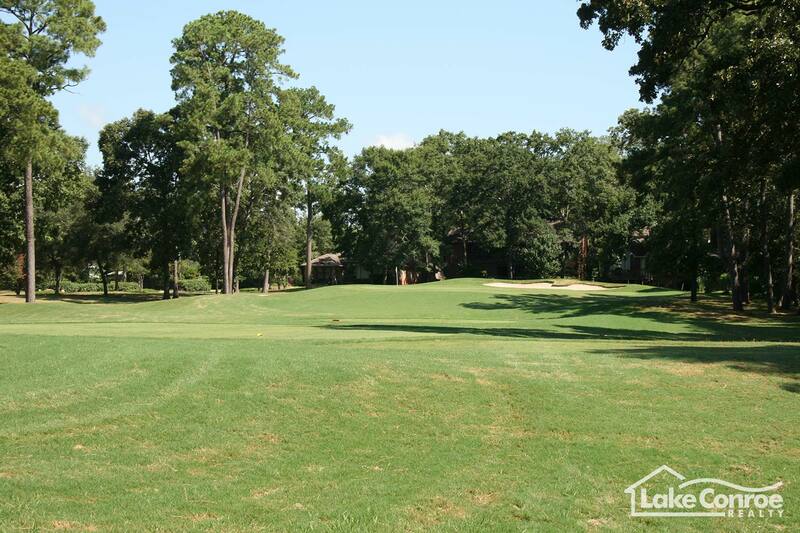 Del Lago is located on the Walden Peninsula and is a waterfront and golf course community located on Walden Road in Montgomery, Texas. Del Lago is home to the La Torretta Resort and Spa which features an 18 hole golf course that has been recently redesigned. Guests of this AAA Four Diamond Texas Resort can expect to find no less than a family-friendly, contemporary lake retreat balancing nature, relaxation and Texas sophistication. For guests looking to further enhance their wellness experience, the Spa at La Torretta encompassing 20 treatment areas, a full-service salon, barber shop, and separate men's and women's relaxation lounges with floatation tubs, scrub rooms and experience shower rooms. Even the most health-conscious guest will appreciate the resort's five tennis courts and a 10,000 square foot, state-of-the-art fitness center with circuit and weight areas, racquetball, Pilates, spin and yoga studios. Del Lago is made up of 3 sections and is platted for 364 home sites. Originally developed in the early 1980's home owners in Del Lago enjoy a private community setting and the benefits of living near a lakefront resort. Residents of Del Lago can join the resort at a reduced membership fee taking advantage of all the amenities Lake Conroe has to offer. The first homes in Del Lago were built in 1983 and occasionally you will find a new home being built on one of the few remaining waterfront or golf course lots in the community. Del Lago is in the Montgomery School District and is conveniently located close to most of the schools and shopping in the area. The tax rate of Del Lago is the lowest on the lake (1.9%) and the HOA dues are some of the lowest in the area. Looking for the perfect family vacation or weekend getaway? The newly renovated La Torretta Resort and Span on Lake Conroe is the perfect place to enjoy and unwind. 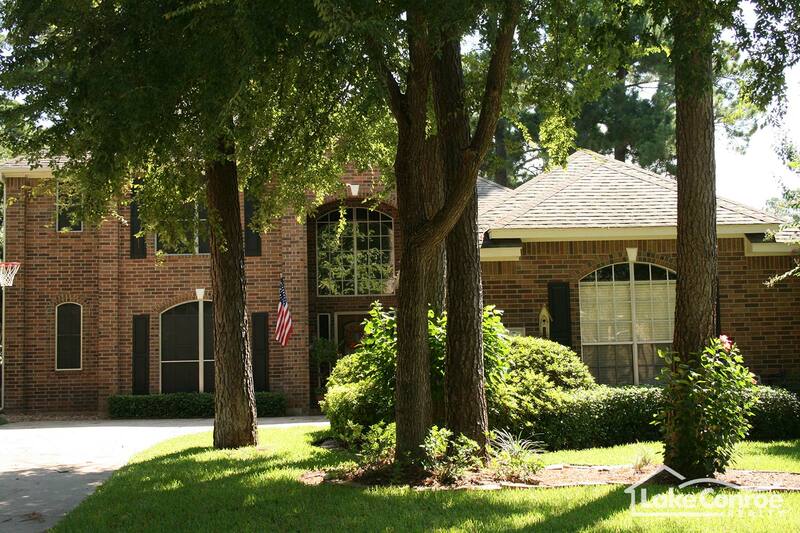 Located on beautiful Lake Conroe an easy hour north of downtown Houston that provides the ideal setting for highly productive business functions, extraordinary social gatherings, rejuvenating family vacations, and romantic couples getaways. La Torretta is an easy getaway -- a place to go for a great meal, a workout, a round of golf, or for some pampering at the Spa. La Torretta offers a unique experience in luxury, comfort and discovery. 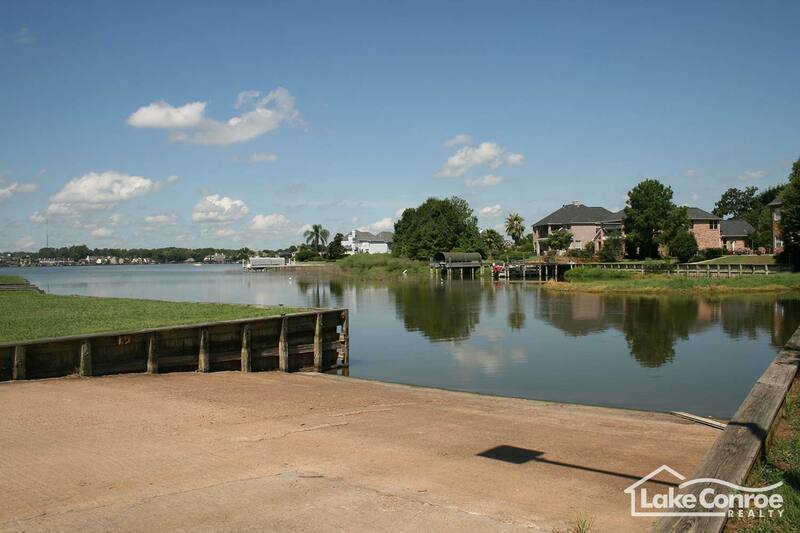 Sandy beaches outline the quiet lake inlet and are ideal for sunning or splashing around beautiful Lake Conroe. The resort is the launch point for numerous water-sports, ranging from fishing to kayaking. Certified a AAA Four Diamond Texas Resort guests can expect to find no less than a family-friendly, contemporary lake retreat balancing nature, relaxation and Texas sophistication. For guests looking to further enhance their wellness experience, the Spa at La Torretta encompassing 20 treatment areas, a full-service salon, barber shop, and separate men's and women's relaxation lounges with floatation tubs, scrub rooms and experience shower rooms. Even the most health-conscious guest will appreciate the resort's five tennis courts and a 10,000 square foot, state-of-the-art fitness center with circuit and weight areas, racquetball, Pilates, spin and yoga studios. The Aqua Park is home to La Torretta Lake Resort's multiple pools featuring an elegant heated upper pool with an infinity edge that cascades down into a 6,400 sq. ft. Mediterranean pool. Other pools include the Breeze Buster pool, the Splash Scape pool with an in-water playground, and the Pollywogs pool for the youngest of water lovers. This Texas resort offers the best way to beat the Texas heat. Food is right at your fingertips along with something cool to drink. Let yourself go as you float down this winding river. Around and around, life's a breeze. Grab a drink and just watch the world go by as you float along in the waterpark. Dig in the sand and create a castle, or let the mixture of sun and water soaking do its magic. 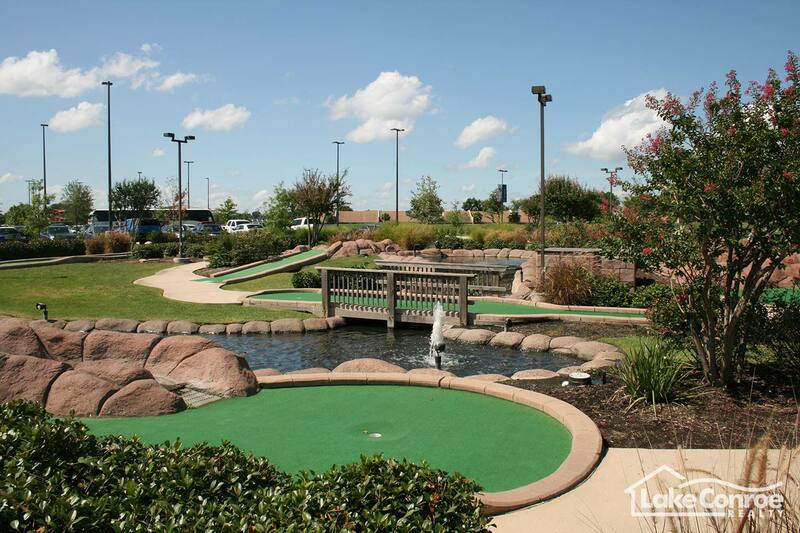 Children and adults alike are sure to enjoy testing their putting skills on this Texas resort's beautifully landscaped, challenging, yet fun miniature golf course. 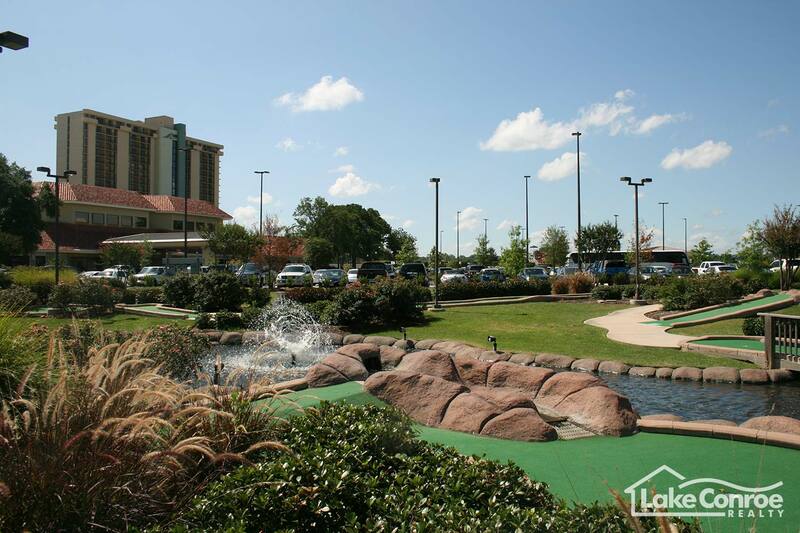 La Torretta's miniature golf course is lighted so you can enjoy a round at night. After you have warmed up on your putting skills you will be ready to tackle the 18 hole main course on site at the resort. Hit the courts! 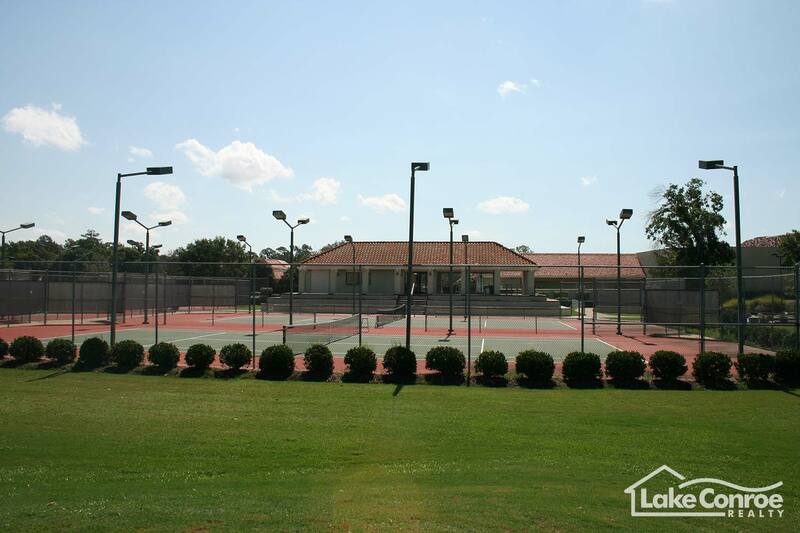 Test your skills on one of our five lighted, hard-surface tennis courts and it won't be long before you'll find your competitive spirit kicking in. Located in front of the conference center building. Afterwards relax with a message right next door and the spa. Maybe even a steam bath or of course you can dive in at the waterpark. 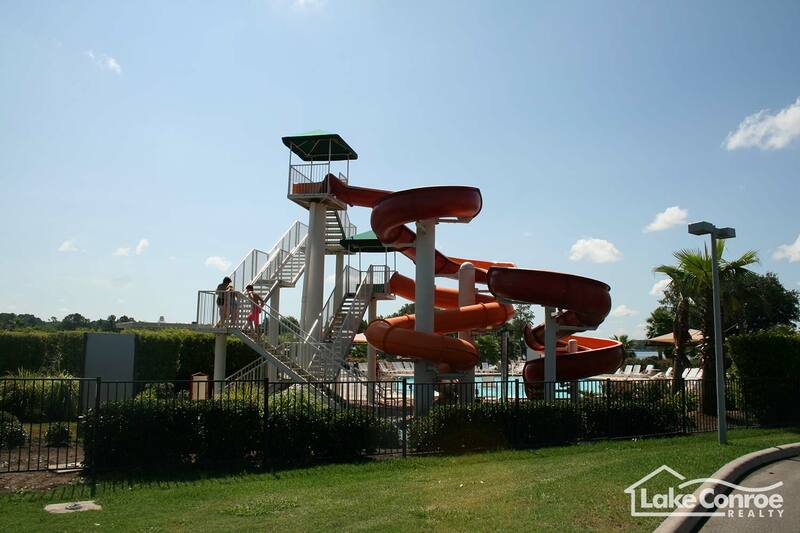 La Torretta Lake Resort & Spa features an exciting program for children ages 5-11, complete with their own private playground, and supervised by the Adventure Pointe's activities staff. Children should come dressed to play. Please contact Adventure Pointe directly for activities, availability and rates. Open Seasonally March through September. Teenagers visiting La Torretta Lake Resort & Spa now have a place to call their very own. The Edge features over-stuffed furniture, cool games such as remote control racing cars and the latest in technology, including a WII, creating an environment that is perfect for hanging out and relaxing while staying at this Texas resort. Open Seasonally from March to September. Redesigned by award winning architect Jeffrey Blume in April 2007, the 7000 yard par 71 course features Tidwarf Bermuda grass greens and Tifway Bermuda Grass fairways. 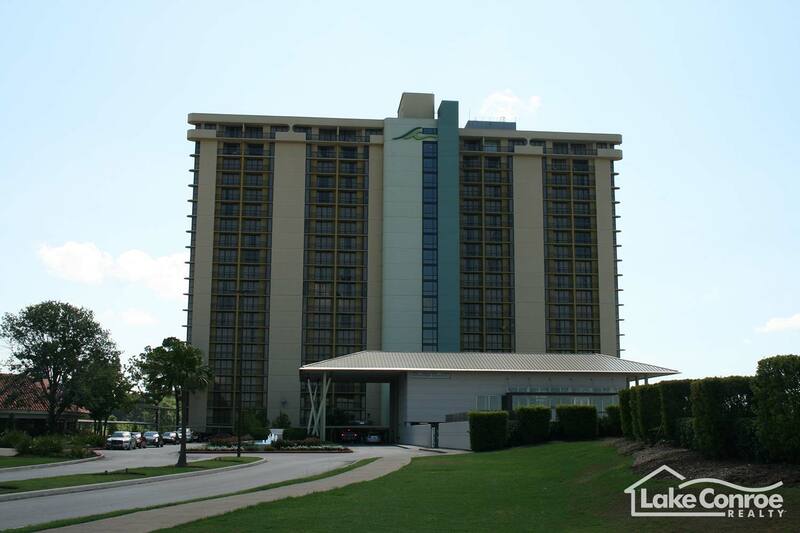 Several changes in elevation can be enjoyed along with spectacular views of Lake Conroe and La Torretta Resort. It is a challenge for both the novice and professional golfer. A newly renovated clubhouse has casual dining and the latest in apparel and equipment. The Clubhouse also features spacious men and women's locker rooms with a lounge and showers. There is a private members only lounge, an outdoor patio overlooking the lakes of our breathtaking 1st and 18th holes and a retail area with the latest in accessories. Need lessons or advice? Our onsite Golf Professionals are at your service. Can the latest sporting event on one of the many televisions indoors at the club while enjoying cocktails or a sandwich. Guests at the resort can enjoy a state-of-the-art fitness center, open 24 Hours a day with room key access. Residents of Del lago with full membership benefits can also use the fitness center and spa. The Spa at La Torretta provides a unique and relaxing experience. Traditional bath houses, steamy, eucalyptus-filled Hamam helps improve circulation and rid the body of harmful toxins. This soothing ritual is recommended as a pre-treatment for guests receiving facials and body scrubs, as the steam-filled atmosphere opens pores and flushes toxins. Exotic tropical oils, aromatic herbs and purifying volcanic clays from Java, Bali, Thailand and beyond, tame your stresses and worries and let your body run free and easy the way it was meant to be. After your Haman, saunter through the rest of the spa. Several Shiatsu Massage chairs surround our Zen-inspired garden in the center of our Relaxation Lounge, offered complimentary to spa guests. The Relaxation Lounge offers healthy snacks and a variety of herbal teas and juices. Visit the changing room and enjoy our Signature Shower Experience before or after any treatment. Take Hwy 105 until you reach the intersection of Walden Road. 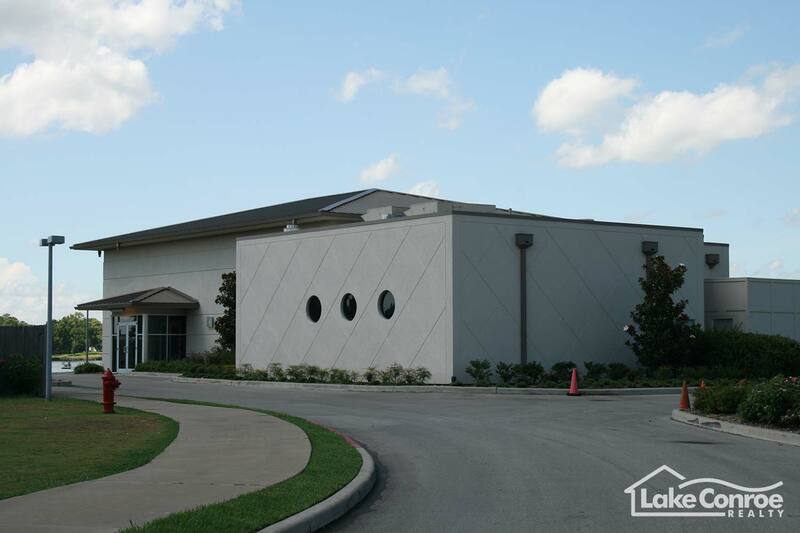 Take Walden Road approximately 2 miles crossing over Lake Conroe and passing the neighborhood of Grand Harbor on your left. The entrance to Del Lago will be on the right. 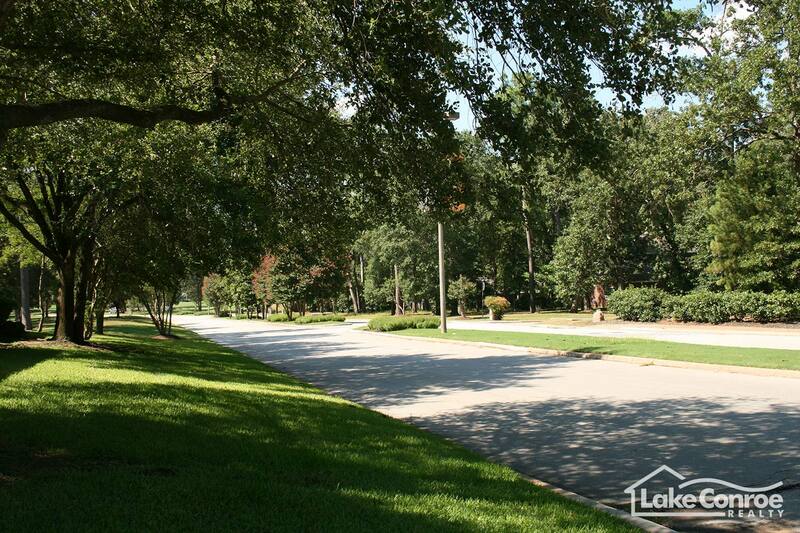 Just take a right on Del Lago Blvd which is also the entrance to the resort -- La Torretta Del Lago.